Scott Fore, President of 2X4 Brewing & Imports LLC, was pleased to announce the recent signing of an exclusive import and distribution agreement with The Lonetree Cider Company of British Columbia (BC), Canada. The Lonetree Cider Company is a small BC-owned company that makes cider the old fashioned way. 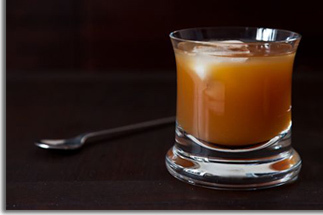 They start with real Canadian apples from an old-growth orchard. Their authentic dry ciders are natural and real – from apples that are crushed and fermented, then filtered fresh, clear and pure – much like a premium quality wine. 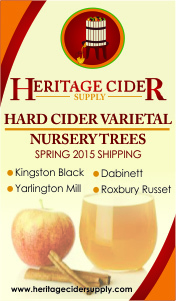 A truly Canadian cider receipe brought to the US market with a fresh, crisp, balanced and flavorful approach. The product mix will start in four-pack 335mL bottles with an Authentic Dry Apple Cider and Apple Ginger Cider. 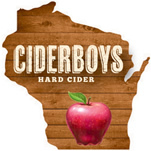 Both ciders have a 5.5% ABV and will target a suggested retail price of $9.99, which will provide a competitive price to the category while providing a unique and quality product for the consumer to experience. The planned launch in the United States will be in early March 2015 with both flavors in bottle format. Draught and other packaged formats will be offered in Q2 and Q3 of 2015. In just three years, Lonetree Cider Co. has become the fastest growing Canadian Cider brand, today ranking fifth in Canada. The flagship Authentic Dry Cider is the number one Canadian cider in Lonetree’s home market of British Columbia, and continued growing at 50% in the last calendar year. By extending the range of products offered with Lonetree Ginger Apple Cider in April of 2014, this new product generated over $1 million in sales in just six months to become the most successful new cider entry in the summer of 2014. 2X4 Brewing & Imports is the owner of Canada’s Select Brews (CSB), a family of craft beers, ales and cider offered to retailers and restaurateurs as a package of high quality and unique products from Canada. These hand-crafted beverages will add depth and quality to the craft beer and cider category. CSB beers and ciders are not only award-winning; they are also brewed in Canadian locales that are natural and pristine. Their underlying stories and high-quality provide excellent market appeal in the US import craft beverage market. 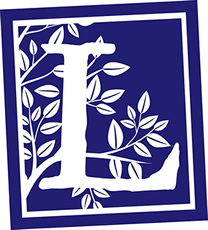 Information about the ciders can be found at LonetreeCider.com. Additional information about distribution can be found at 2X4Brewing.com. Sonoma Cider, a California organic hard cider producer, announced the addition of two new sales team members: James Williams, Senior Vice President of Sales, overseeing six sales team members; and Ken Komar, Vice President of Sales – Central Territory, covering Illinois, Indiana, Michigan, Minnesota, Missouri, Ohio, and Wisconsin. Sonoma Cider has also added to its distribution network in California, signing contracts with Harbor Distributing and Pacific Beverage. 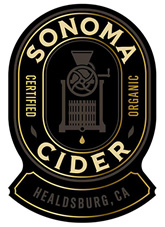 Since launching in late 2013, Sonoma Cider has secured 27 partnerships in 17 markets. James Williams joins the Sonoma Cider team from Manneken-Brussel Imports where he served as National Sales Manager after prior posts as Regional Sales Manager and National Chain Manager. Prior to entering the beverage industry, Williams served 15 years in the Army and Army Reserve. Ken Komar has worked in the beverage industry for 24 years, having served as a distributor for 15 years in Ohio with prior positions at Beverage Distributors in Cleveland and Tramonte Distributing in Akron. Komar also spent eight years on the supplier side of the industry working for Heineken USA as a Distribution Manager and National Account Manager. Harbor Distributing is a Reyes Beverage Group company, the largest independent beer distributor in the nation. Harbor Distributing will distribute Sonoma Ciders across Los Angeles, Orange, Riverside and San Bernardino counties. Pacific Beverage will serve Sonoma Cider in the Central Coast region in San Luis Obispo, Santa Barbara and Ventura counties. Both distributors will have all three Sonoma Cider proprietary flavors in 12-ounce four packs, 22-ounce single bottles, and 5.16-gallon and 15.5-gallon kegs. For additional information, please visit SonomaCider.com. The second annual Cider Rite of Spring, Portland’s largest hometown cider festival, will take place on March 21, 2015 from 12pm-5pm. The festival will once again be held at The Tiffany Center, located at 1410 SW Morrison Street in Portland, Oregon. More than 25 Northwest cidermakers will be represented at the Cider Rite of Spring. Tickets may be purchased in advance for $25 at Brown Paper Tickets, Reverend Nat’s Cidery and Taproom (1813 NE 2nd Avenue, Portland) and Portland Cider’s Tasting Room (275 Beavercreek Road, Oregon City). Tickets are $30 at the door. Attendees must be 21 years old and will receive a tasting glass and 10 tasting tickets. Food will be available for purchase. Live musical entertainment by bluegrass band, Buckwheat, is planned. An on-site pop-up retail store will give attendees the chance to buy their favorite ciders from the event to take home. 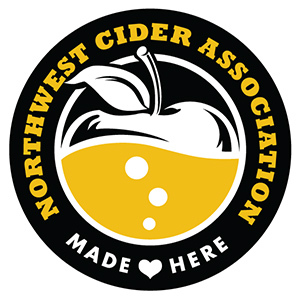 Proceeds from the event will benefit the Northwest Cider Association. To learn more visit NWCider.com. Cider Rite of Spring is being sponsored by: 33 Books, Atlas Cider, Cider Riot!, Edible Portland, FruitSmart, Saxco International, Portland Cider Company, Finnriver Cidery and Reverent Nat’s Hard Cider. 1. Stevens Point Brewery, “Point” (producers of Ciderboys hard cider): After another year of growth in 2014 mainly due to the Ciderboys brand, the brewery has gone on the record declaring they will create more jobs and invest $1.5 million in brewery renovations and upgrading to improve quality and help production keep with consumer demand. The improvements to the brewery include a new can filler, new brewing and quality control equipment, and renovations to the gift shop. Point also plans to hire two additional sales people and another quality control technician. Improvements and renovations have begun this month and will, hopefully, conclude in May just in time for summer – the industry’s peak season for sales. 2. Tieton Cider Works: After six successful years creating and growing a new hard cider company in the Tieton orchards where it all started, Tieton Cider Works moved to a new location in Yakima (WA) this past October 2014. The company simply outgrew the facility it was in which was an old farm house and garage space in the orchard where the apples grew. Tieton’s new location includes an expanded space (approximately 35,000 square feet) and new 3,000-gallon conditioning tanks that enable Tieton to produce upward of 500,000 cases of cider a year compared with the 13,000 cases Tieton produced in 2013. It’s safe to say Tieton has a ton of room to grow! The new space also includes a cider bar complete with six taps of the Tieton core and seasonal ciders. The cider bar has weekly hours and can handle a much larger crowd than ever before. 3. Sociable Cider Werks: When Sociable opened in 2013 it could produce only a maximum of 1,000 barrels a year for draft consumption only. That is all about to change as the cider producer plans to triple annual capacity in 2015. A recent expansion to accommodate a canning line which will allow the company to make additional sales at Minnesota liquor stores, also meant adding new equipment and reorganizing their 6,000 square foot facility. The new equipment will increase the company’s annual capacity to 3,500 barrels a year. Consumers can expect to find Social Cider Werks more readily available on retail shelves for purchase and new cider varieties. 4. Schilling Cider: Last September (2014), Schilling Cider announced the grand opening of the Schilling Cider House in the Fremont section of Seattle, WA. Although owned by Schilling Cider, the Cider House encourages the growth of and education about all craft cider. Schilling Ciders are always available but you can also find a wide array of ciders always rotating on tap. The Cider House has 32 rotating cider taps for growler fills, pints and tasting flights, plus at least one nitro cider always on. They also have 200+ ciders available from the coolers to drink on-site or take to go with no corkage fee! Local restaurants also deliver straight to your table. Make sure to like Schilling Cider House on Facebook to stay tuned for cider education, pairing and tasting sessions! 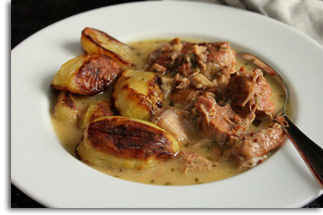 Today, January 22, there is an Oak-Smoked Brisket & Cider pairing! 5. 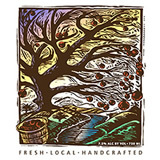 Stone Ridge Orchard (producers of Hudson Valley Farmhouse Cider at the Breezy Hill Orchard & Cider Mill): The Mid-Hudson News Network announced in December (2014) that the orchard had been awarded $135,000 in New York State funds to help expand its farm cidery and build a food hub on its 114-acre site. The project is expected to create an estimated 20 new jobs as well. The expansion, which includes installation of “green” canning equipment, is scheduled to be completed by the end of 2015. The “food hub” will include a farmers market shed, tasting room and community kitchen. Some additional cider producers you should make sure to check out this year include Bold Rock Cider who recently opened a new taproom back in September and Noble Hard Cider who is currently in the process of building a new cidery that will house an apple processing line, tasting room, cider garden and packaging line. 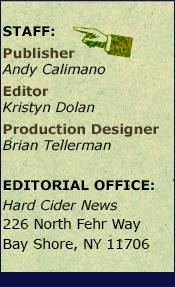 We wrote about both of these cideries in our September 2014 newsletter, in case you would like to read more. We would also like to give a nod to Vermont Hard Cider Company, producers of Woodchuck Hard Cider, who opened their new $34 million cidery back in August. If you haven’t been, it’s worth a visit. The 15-month long construction project resulted in a 100,000 square foot cidery with 23 cider tanks a new bottling line and a beautiful visitor center. 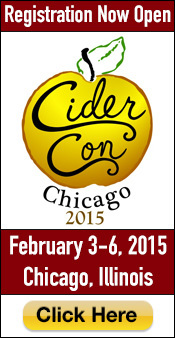 Members of the United States Association of Cider Makers (USACM) will gather in Chicago on February 3-6, for CiderCon 2015, the annual meeting and conference for the nation’s cider industry. Cider is the fastest-growing segment of the beverage industry. From 2007 to 2012, cider revenues more than tripled in the U.S. from $178 million to $601 million, according to the market research firm IBIS World. After last year’s record-breaking attendance at CiderCON with well over 300 industry representatives in attendance, CiderCON 2015 is expected to grow just as the hard cider industry has. The conference will be held from February 3-6, 2015 in downtown Chicago at the beautiful Swissotel. Registration is still open if you haven’t already signed up (don’t wait since there is a limit of 700 attendees). Conference sessions will focus on production, distribution, marketing, research, apple growing and sensory analysis. 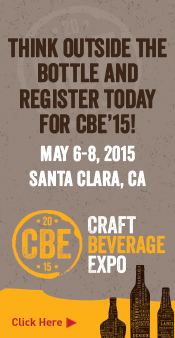 Attendees will represent the most recognized cider brands, as well as small cider makers and orchardists. A complete schedule of events may be found at CiderConference.com/schedule with their descriptions. Registration for the conference days (February 5th & 6th) includes lunch, afternoon snacks and drinks. In-depth multi-hour workshops and special trainings that take place on February 3rd and 4th require an additional fee and RSVP. The USACM will kick-off the conference on February 4th by conducting a formal business meeting from 9:30am-11:30am that is free for anyone to attend in the industry. Elections of directors and officers will take place at this meeting in addition to a celebration of the organization’s two year anniversary. Following thereafter, is a networking salon, training with the FDA on cider labeling, a first-timers orientation and the “CiderCON Welcome Reception” from 6:00pm-8:00pm. A very special guest will be joining the USACM for the conference – the Honorable Earl Blumenauer, U.S. Representative for Oregon’s 3rd Congressional District. Serving in Congress since 1996, last year Blumenauer and Congressman Chris Collins (R-NY) introduced bipartisan legislation – the Cider Industry Deserves Equal Regulation (CIDER) Act, and will do so again this Congress. The Act would amend the section of the tax code that deals with wine and related beverages, 26USC § 5041, and would allow cider makers increased flexibility in their final product without potentially facing increased tax liability. Other prominent speakers include Robert Vail, Director of Allied Brands at the Boston Beer Company (producers of Angry Orchard); Mark Seetin, President of the U.S. Apple Association in Washington, DC; officials with the Alcohol and Tobacco Tax and Trade Bureau (TTB) and the Food and Drug Administration (FDA); and esteemed cider experts from around the world. The industry will also launch and present a new awards program honoring those who have made significant contributions to the cider industry at CiderCon; and feature cider throughout the week at various Chicago bars, pubs and restaurants. While the conference is for USACM members only, the general public is invited to attend the Third Annual Cider Summit Chicago on Saturday, February 7, which consists of two cider tasting sessions at the Navy Pier starting at 11am and 4pm. Tickets to Cider Summit are $30 and must be purchased in advance online at CiderSummit.com. The Pennsylvania Cider Guild (PACG) was formally established this month with the support of cider makers across the state and several associate partners. The PACG was formed to bring together members of the hard cider industry to have a united voice in the state. The guild’s mission is to protect, promote, represent and educate its members and consumers. There are over 25 hard cider producers in the state of Pennsylvania, many of which have already become members of the PACG. Among them include apple growers, wineries, breweries, and independent cideries. Spearheading the development of the guild is Hank Frecon of Frecon’s Cidery in Boyerstown, PA. Frecon joined forces with the Pennsylvania Apple Marketing Program and Penn State Extension, who both serve as advisors to the guild, to bring together their resources and contacts to form the guild. Over the last several months, the collective group of cider producers and related industry professionals have gathered for two general meetings. The first meeting was considered an “open meeting” for the industry to discuss the strategic development of the guild including incorporation, membership, communications, and the review of existing regulations to prioritize the guild’s future initiatives. The over 20 people present for the open meeting developed the framework of the organization and conversation on matters that need to be tackled to advance the hard cider industry in Pennsylvania. In the second meeting, the guild discussed formal bylaws, reviewed goals, and accepted nominations for Board of Directors positions and officers. In the coming months, the guild is expected to fine-tune organizational matters and work with state senators on legislative change. The Pennsylvania Cider Guild has set-up a website and Facebook page for additional information and to spread the word about Pennsylvania made hard cider.